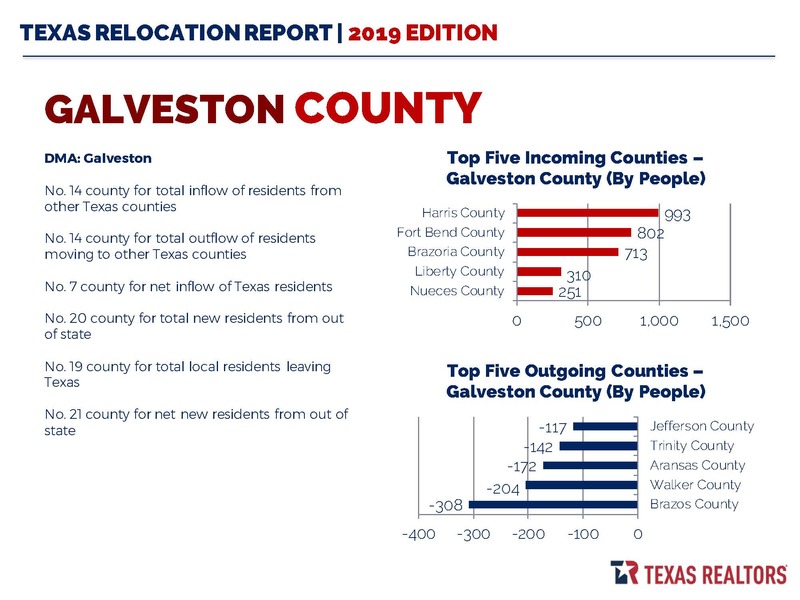 The 2019 Texas Relocation Report from the Texas Association of Realtors is out, and once again Texas gained more than half a million new residents. Here are the numbers for Galveston County. View stats for other Texas counties in the full report here.